As a true believer in the power of touch, my adventure and education into the world of therapeutic massage is one that feels incredibly intuitive and powerful. 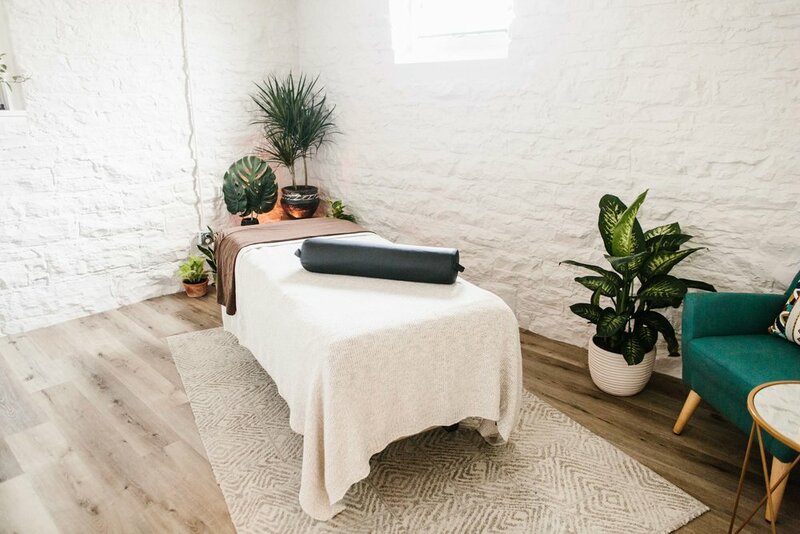 Not only does massage benefit the muscles, it has also been linked to a decrease in depression & anxiety, lowered blood pressure, better sleep, and a reduction in overall pain. Massages don't have to be for pure indulgence. They are proven to be beneficial for general health management! My approach in using massage as a therapy is entirely driven by what YOU are experiencing. No two sessions will ever be the same, as the modalities and techniques I use are guided by the tension, stress, pain, and/or injury you are healing. What questions about massage can I answer for you? Thank you so much for reaching out! I will respond as soon as I possibly can. My practice operates out of Restore Skin Therapy, a spa and wellness studio located on the garden level of Fort Benjamin Harrison in Lawrence, Indiana. I love how you told me about what you saw in my body. I've had professional massage before and they've never said anything about what they see. It makes me feel like you know what you're doing. Thank you! Brittany did a great job of listening to my concerns, addressing them, and educating me on what she saw, then what I could do to maintain. She had a great balance of conversation and quiet time. Her space is charming, comfortable and certainly relaxing. I can't wait to get my next session booked. Brittany, the massage was amazing! My chronic neck pain has lessened and my muscles feel much more relaxed, stretched, and comfortable! THANK YOU! Also, loved getting to know you and appreciated how you explained the process and intention behind everything you did. I will definitely be scheduling again soon! Most yoga and massage appointments take place within a 5 mile radius of downtown Indianapolis. I have been known to travel for work when the inspiration strikes.